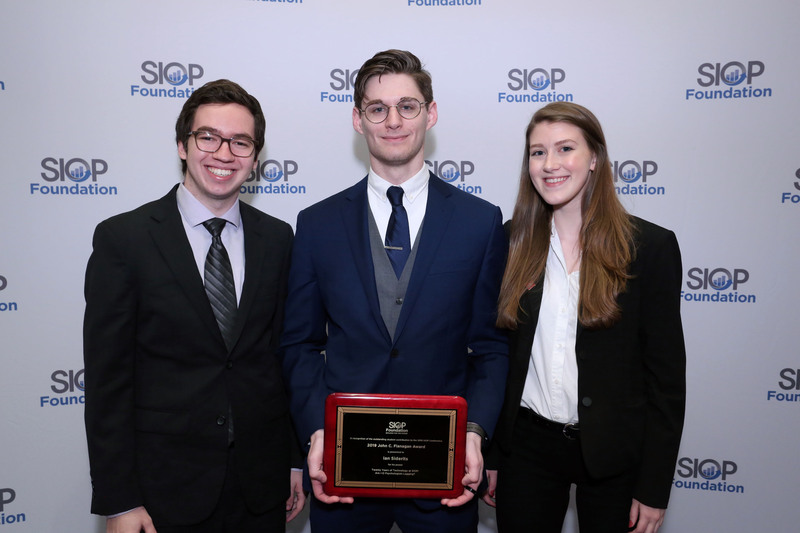 Ian Siderits – along with his co-authors Jerod White, Sarah Zarsky, Dan Ravid, and Dr. Behrend – have been selected to receive the 2019 John Flanagan Award for the best student contribution at the annual Society of Industrial-Organizational Psychology (SIOP) conference. Their poster, “Twenty Years of Technology at SIOP: Are I-O Psychologists Lagging?” examines the timeliness of technology research at SIOP conferences since 1998. Siderits, I., White, J., Ravid, D., Zarsky, S., & Behrend, T. (2019, April). Twenty Years of Technology at SIOP: Are I-O Psychologists Lagging? Poster to be presented at the 34th Annual Conference of the Society of Industrial and Organizational Psychology, National Harbor, MD.